On this episode of Dugout Blues, Jared and I talk about the first week or so of Spring Training. There are actually (fake) games being played! There are some players who are off to hot starts. Jake Peter is hitting incredibly well, but it’s still almost a certainty that he begins the season in Triple-A. And that’s fine, he doesn’t have to be on the 40-man roster. There are always non-roster players who hit well and get the fan base clamoring for their inclusion on the opening day roster. Peter should debut in 2018, but he won’t break camp with the team. Keibert Ruiz, just 19 years old, definitely won’t be on the team in 2018, but he’s 5-for-7 early on in Spring Training and is a special prospect. He’s going to be here to stay before we know it, but not just yet. Another prospect performing is DJ Peters. He has some holes in his swing, but the tools are there and Dave Roberts likes him. He’s a guy to watch this season to see how handles Double-A. 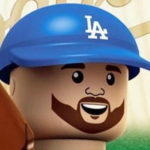 Matt Kemp is still a Dodger, to the surprise of everyone. Kemp has hit two home runs and is looking more and more likely to make the Opening Day roster. It’s probably for the best that he gets traded, but if he’s still on the roster, there are worse right-handed power hitters to have off the bench (he says trying to convince himself). Tom Koehler — the Dodgers’ big free agent signing — will miss some time with a shoulder injury. The Dodgers are confident he’ll pitch at some point this season, but he’ll be out for “weeks” or even “months.” This opens up a bullpen spot for, likely, one of the option guys — Yimi Garcia, Adam Liberatore, Edward Paredes — or one of the non-roster invitees. We’ll see how that all plays out. Andrew Toles is back! He looks pretty good early in Spring Training. There’s a bit of an outfield logjam, and he and Joc Pederson have minor-league options remaining. If Kemp sticks around, there’s a good chance one of them begin the season in Triple-A. We end with a solid Q&A from you folks. Please keep the questions coming.